Singer/Songwriter 'Archivist' certainly is no stranger to the electronic music scene – his highly acclaimed collaboration with 'Edu Imbernon' on 'Fixing Fires' heated up dancefloors all over the planet and got championed on Radio 1 while clocking up praise from the likes of Q, Noisey or Dummy. 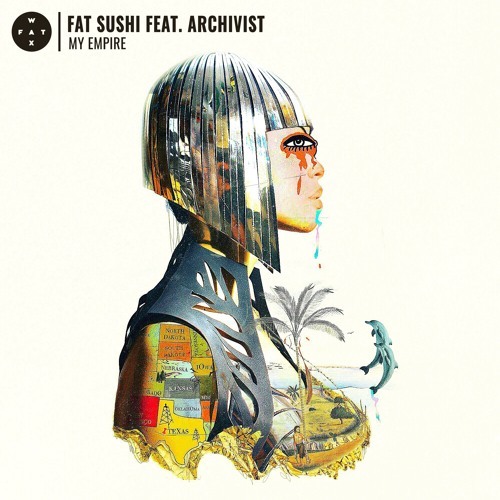 The South Londoner now picked a collaboration with Swiss duo 'Fat Sushi' on a trippy melodic odyssey that goes by the name of 'My Empire'. The super-hot package includes Remixes by Stil vor Talent's Township Rebellion and London's AUS music regular Marquis Hawkes who's representing his signature jackin house sound.